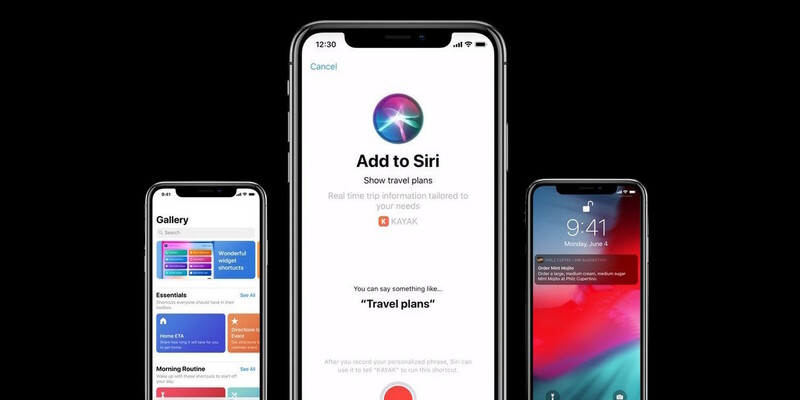 What Shortcuts of Siri in iOS 12 will open a whole world of possibilities when it comes to automating our devices is something we already know. And when we say a whole world is not an exaggeration, to show the following: Harry Potter spells to control the flashlight of the iPhone. As user Ben Markowitz has shown in his personal Twitter account, with Shortcuts we can configure the flashlight to turn on, off or set to a certain brightness thanks to an order. Actually this we can already do with Workflow, but thanks to Shortcuts the orders can be activated by asking them to Siri. If I say “Lumos” put the flashlight in On. If I say “Nox” put the flashlight on Off. If I say “Lumos Maxima” put the flashlight on On and at the maximum brightness. This is so simple with a lot of system options and with many applications that are and will be compatible with Shortcuts. What’s more, if you do not want to complicate making these shortcuts, Siri itself will recommend adding a series of custom shortcuts for you. These shortcuts will learn from your routines, if you usually do certain actions with your iPhone or iPad, it will recommend you configure a voice shortcut for Siri to perform that action directly. At the moment Shortcuts is only available for developers in beta mode. It is expected to arrive definitively to all users in September along with the final version of iOS 12. Meanwhile, you can use Workflow, which is the predecessor app to Shortcuts and try dozens of workflows already available. Isn’t cool it? How many of you are waiting for this update? If you have any other queries let us know them in the below comment box and we will get back to you to solve all your questions as soon as possible.